Resource center What Is OxyContin and How Is It Abused? OxyContin is a branded trade name for a prescription pain reliever that includes the generic drug oxycodone as its active ingredient. As OxyContin is a potent analgesic, it is used for moderate to severe pain in people who have cancer, arthritis, injuries, and other serious health conditions. OxyContin, like other prescription pain relievers, is an opioid. This class of drugs is synthetic, or partially synthetic, and designed to mimic the chemical structure of morphine (an opiate) that is synthesized from opium in the poppy plant. OxyContin is a time-released formula that comes in oral pill or tablet form and in 10-80 mg doses. OxyContin is not the only branded pain reliever that includes oxycodone; other prescription drugs that feature oxycodone are Percocet and Percodan. OxyContin has a high addiction profile, especially when too much is taken or when a person alters the form to get a fast and potent high. However, when a person takes OxyContin by prescription and in accordance with a supervised pain management plan, the risk of addiction is minimized. At this juncture, it is helpful to clarify the difference between physical dependence and addiction. Over time, a person who regularly takes OxyContin, such as for the management of pain, will likely become physically dependent on this drug. Doctors are well aware of the risk of physical dependence, but as long as abuse does not develop, it is believed that the benefits (i.e., pain relief) outweigh the risks. There is no test of physical dependence per se. A doctor and a patient come to recognize that physical dependence has set in when the patient requires a higher dose of this drug to achieve the familiar level of pain relief. Another hallmark of physical dependence is evident when a patient who has been regularly taking OxyContin stops or significantly reduces the familiar dosage. At this point, withdrawal symptoms will likely emerge. There are several withdrawal symptoms associated with OxyContin. Symptoms are dependent on individual factors, such as the person’s physiology, length of use, and volume of use. Typically, withdrawal symptoms emerge 6-30 hours after last use. Symptoms can change over the duration of withdrawal. Physical dependence is not the same as addiction, although physical dependence is a component part of addiction. When individuals abuse OxyContin, they increase their risk of progressing from physical dependence to a psychological addiction on this opioid. Addiction does not have to begin with an abuse intention. For instance, those who feel their prescribed OxyContin dosage is not effective, or who want to get euphoric effects from it, may personally increase their dosage. Doctors are mindful of the addiction potential and typically will not write a new prescription unless the treatment timeframe on the old prescription has lapsed. Individuals may then run out of OxyContin between prescriptions and begin “doctor shopping” for a new prescription or turn to the street to buy this opioid. To avoid detection, those who acquire a new prescription from a new doctor may go to a different pharmacy, even if it is miles away from home. At this point, these people would be exhibiting behaviors indicative of an addiction to OxyContin. In other instances, OxyContin abuse does begin with an abuse intention. A person may feign symptoms in hopes of obtaining a lawful prescription from a doctor or seek OxyContin from friends, family, or the street. Such an individual may have a history of drug abuse and migrated over to OxyContin after an experience with this drug. In some instances, a person may have a history of heroin abuse and rather than re-engage use of that drug, for any number of personal reasons, chooses to begin abusing prescription opioids. However, as opioids are typically more expensive than heroin, it is more common for those who abuse opioids to migrate over to heroin use. OxyContin can be abused in different ways. It is a fundamental principle of physiology and chemistry that the faster a drug enters a person’s bloodstream, typically the more quickly it reaches the brain and causes more intense psychoactive effects. When individuals take OxyContin pills orally, such as lawful prescription users, the time-release formulation helps to ensure that psychoactive effects are minimized (if any occur). However, those who abuse OxyContin can circumnavigate the slow passage through the stomach. Some people chew OxyContin for a faster high, but the reported quickest way to experience psychoactive effects is to mainline this opioid (i.e., intravenous use). As the earlier formulation of OxyContin could be crushed, some people smoked it, snorted it, or dissolved it in water and then injected it with a syringe. As a general rule, the more potent a narcotic is in the brain, the shorter the timeframe from recreational use to addiction. As the U.S. Food and Drug Administration (FDA) reports, in 2013, the manufactures of OxyContin (Purdue) changed the formulation of OxyContin to include an anti-abuse/abuse-deterrent factor. The new pills are more resistant to being crushed and difficult to dissolve in a fluid and inject. OxyContin was first approved for use in December 2005, but by August 2010, the manufacturer stopped distributing the original formula to pharmacies because of its abuse potential and cases of death by overdose. The therapeutic benefits of its new formulation outweighed the health risks of potential addiction. The change in formulation has impacted street sales. It is reported that the earlier generation OxyContin pills are relatively high cost on the black market, whereas the newer formulation is either relatively inexpensive or unavailable because the anti-abuse feature makes it undesirable for use. There are at least three possible ways a concerned person can discover that OxyContin abuse is occurring. First, as this drug has psychoactive effects, a concerned person may encounter an individual soon after the use and witness the side effects firsthand. Second, the concerned person may find paraphernalia associated with OxyContin abuse or other evidence that abuse is occurring. Third, the person who is abusing OxyContin may exhibit behavioral signs of addiction. Irrespective of the precise type of signs that occur, substance abuse brings about significant changes in a person’s life that are often visible. The type of paraphernalia that individuals use to facilitate drug abuse depends on the preferred method of administration. Paraphernalia may be found in a person’s room, apartment, car, office drawer, or other private or semi-private place. In the earlier and moderate phases of drug abuse, individuals often try to hide their drug use. When individuals become indifferent about hiding their drug abuse, this itself may be a sign that the drug abuse has progressed to a serious stage of addiction. OxyContin requires a container, whether it is obtained from a pharmacy or from the street. Individuals who are “doctor shopping” may have more prescription bottles than expected in their possession. As an individual typically should only receive OxyContin from one treating doctor/doctor’s practice, the presence of different doctors’ names on the prescription labels may strongly indicate an abuse problem. If the prescriptions from different doctors are being filled at different pharmacies, this is an even stronger indication of a serious problem. When a person purchases OxyContin on the street, drug dealers generally do not use prescription bottles. To cut costs, street dealers may use small Ziploc baggies, cut the corners from sandwich bags and use twisty closures, or put the pills in small bits of folded paper or envelopes. Individuals who crush and snort OxyContin may have a blunt object, such as a hammer or an espresso tamper, which they use to crush the pills. A razor, credit card, or anything else with a precise edge may be used to lay out lines for snorting. These items, or the surfaces on which they are used, may contain OxyContin residue. Some individuals may, similar to cocaine users, use rolled money or a small nose scoop. It may also be possible for some individuals to have a vial where they hold crushed OxyContin. When people inject OxyContin, they will typically have common types of equipment. As the pill needs to be crushed first, individuals who inject OxyContin may also own a blunt object. To dissolve the OxyContin, the person may use a spoon, which is heated with a lighter or small torch. In order to inject the drug, individuals will need a syringe and may use arm bands to help locate a vein. Needles can also be used to inject under skin, known as skin-popping, or inject OxyContin into the muscle, a method known as muscling. Crushed OxyContin can also be smoked. This method involves placing crushed OxyContin on aluminum foil and heating the foil from beneath while holding a pipe over the smoke and inhaling. Individuals who use OxyContin in this way may leave small sheets of aluminum foil (there may be residue in a zigzag formation on the surface) in sight. The aluminum foil may be crumpled into balls. The pipes that are used may be as makeshift as cut straws or hollowed-out pens. Some individuals may use store-bought pipes made from glass or other materials. If or when a concerned person confirms suspicion of OxyContin abuse, the next step may be to have an informal discussion. According to different sources, the best advice is to approach the person during a sober timeframe, and honesty and accurately lay out the drug-related concerns. It can be particularly helpful to make an offer of treatment or have a treatment plan ready in the event the person is ready to get help. If an informal discussion is not feasible, a concerned person may want to organize an intervention, possibly with the help of a professional interventionist. In a formal intervention, a group of concerned persons will typically communicate their concerns and the decision to no longer enable the OxyContin abuse in any way. As the goal of a formal intervention is to lead the person of concern to recovery, it is always advisable to have a rehab admission plan ready to put into action if the person agrees to go to rehab. Harvard Medical School, in a two-part article, addresses treatment options for opioid addiction. There are two main phases of treatment: detox/substitution therapy and abstinence maintenance. There are targeted medications available to assist during each of these phases. When people begin rehab with detox or substitution therapy, they will receive medically supervised care. The use of targeted medications is a way of lessening the intensity of withdrawal symptoms and the risk of relapse. The use of medications means the person is not actually detoxing but being stabilized. The substitution therapy medications can also be used during the abstinence maintenance phase. The main targeted medications available for opioid addiction recovery are methadone, buprenorphine, and naltrexone. can only be dispensed in a clinical setting, which is convenient for a person in an outpatient or inpatient program. Typically, one dose of methadone lasts 24-36 hours. Methadone is associated with minimal negative side effects. Methadone does itself have abuse potential, but since a person must visit a methadone clinic to receive a dose, there is less opportunity to abuse this substitution treatment in this way. A recovering person can take methadone indefinitely (i.e., never fully detox) or use this medication to gradually and completely taper off opioids (i.e., enter a stage of detox). 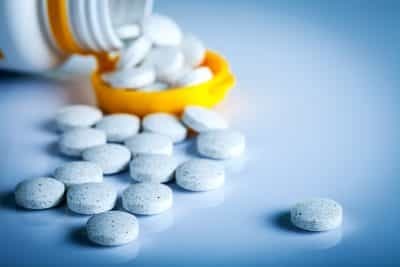 According to research, an estimated 25 percent of people who use methadone eventually achieve and maintain abstinence without it (i.e., methadone is only a bridge to abstinence), 25 percent use methadone indefinitely, and 50 percent have a pattern of going on and off this medication. In addition to medication, the abstinence maintenance phase includes individual and group therapy. There are over many schools of thought and practice under the umbrella of therapy. Rehab centers can choose to provide research-based therapies that include approaches like Cognitive Behavioral Therapy and Contingency Management interventions. Used in combination, for example, these approaches can help motivate a person to fully embrace and engage in rehab services (Contingency Management interventions) and help recovering people to learn strategies to avoid relapse (Cognitive Behavioral Therapy). Therapists lead group therapy, whereas members lead group recovery meetings. Group recovery is considered an integral part of the recovery process during and after a recovering person’s rehab stay. Some rehab centers will offer 12-Step meetings onsite (commonplace in residential programs), which are part of the Alcoholics Anonymous (AA) or Narcotics Anonymous (NA) fellowship. After completion of a structured rehab program, a recovering person enters the aftercare phase of treatment, which is self-directed. While there are different services a person can engage during aftercare, attending recovery group meetings is a staple part of this ongoing phase. A recovering person can also fortify the recovery process by continuing to partake in therapy sessions, meeting with a counselor, and submitting to drug tests (as a condition of continuing to receive substitution therapy medication). Receiving recovery services in a structured rehab program is considered to be the most effective way of overcoming OxyContin addiction.